Toss the prepared vegetables in the olive oil and season. Once the oven is hot, add the vegetables to a large baking tray in a single layer. Roast for 20-25 minutes until the vegetables are cooked. Take the pastry out of the fridge, remove from the wrapper and sit on a plate to bring to room temperature while the vegetables roast. Whizz up all the pate ingredients in a food processor until you have a smooth pate. 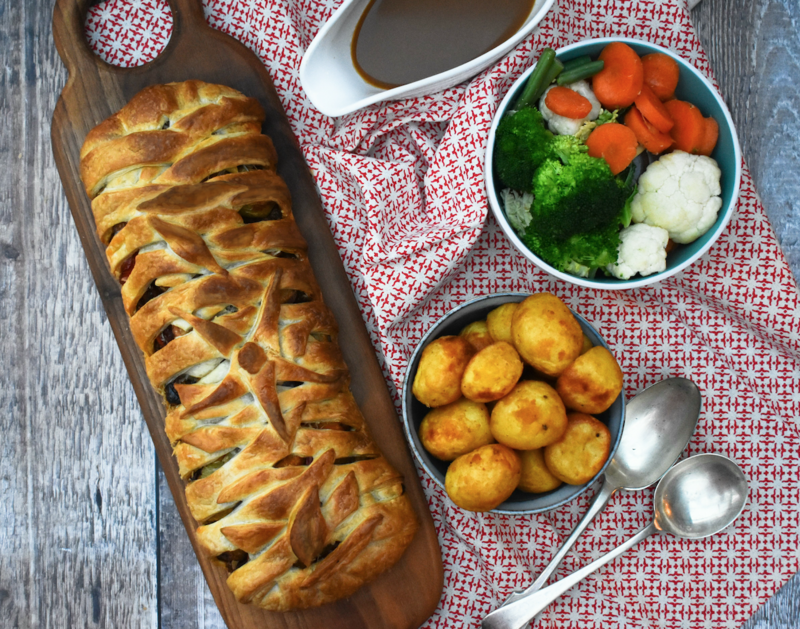 Once the vegetables are roasted, unroll the pastry on a baking sheet and add the pate in a flat sausage shape up the central third of the pastry, lengthways. Heap the vegetables on top of the pate. Slice diagonally through the pastry at each side of the pate to the edge. It should look like a feather. Leave a portion at the top and bottom uncut. 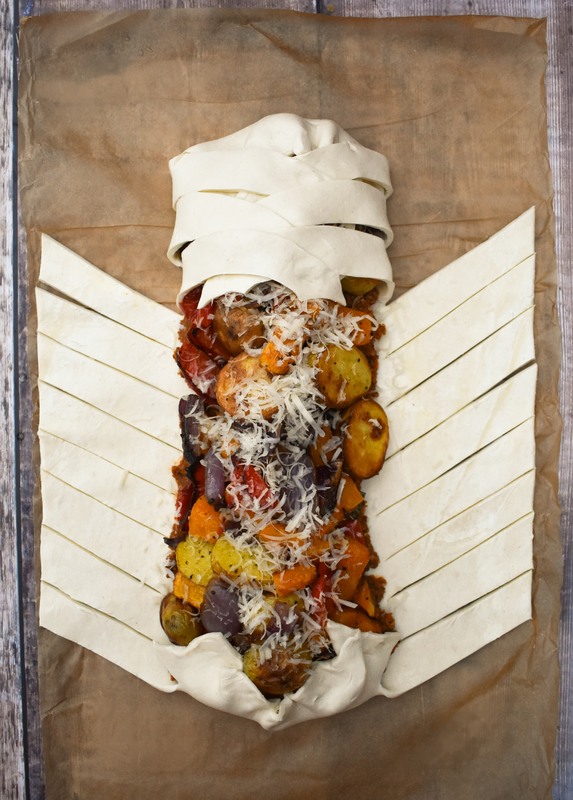 Fold the top and bottom pieces of the pastry over the vegetables, then brush a little water on the tips of your pastry strips, then fold them one at a time across the middle until the filling is completely covered, with just a little showing. Brush the pastry with an egg wash or olive oil and bake in the oven for 20-25 minutes until golden and crisp. Serve with roast potatoes, a selection of vegetables and onion gravy.